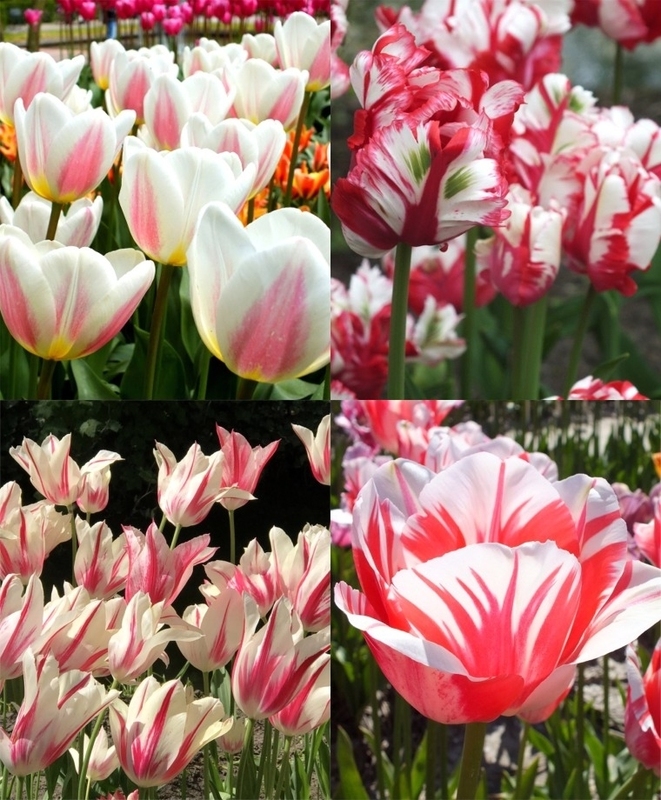 There’s nothing more refreshing than an explosion of bright white and red Tulips igniting spring gardens. Here we have paired early-to-late varieties for a non-stop display. Individually bagged and labeled, it is specially priced 20% less than our already terrific prices. Normal shipping charges apply. Height: 22” to 26”. Top size bulbs. Plant 6” to 8” deep and 6” apart. Horticultural zones 4-7. 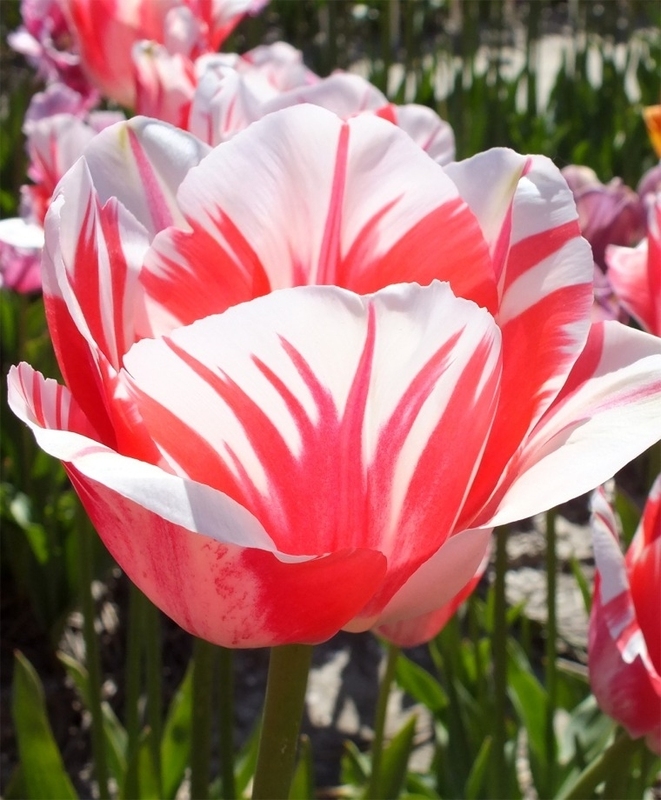 20 Giant Darwin Hybrid Tulip Beau Monde: Ivory, raspberry-red flames. Mid-April/May. 26”. 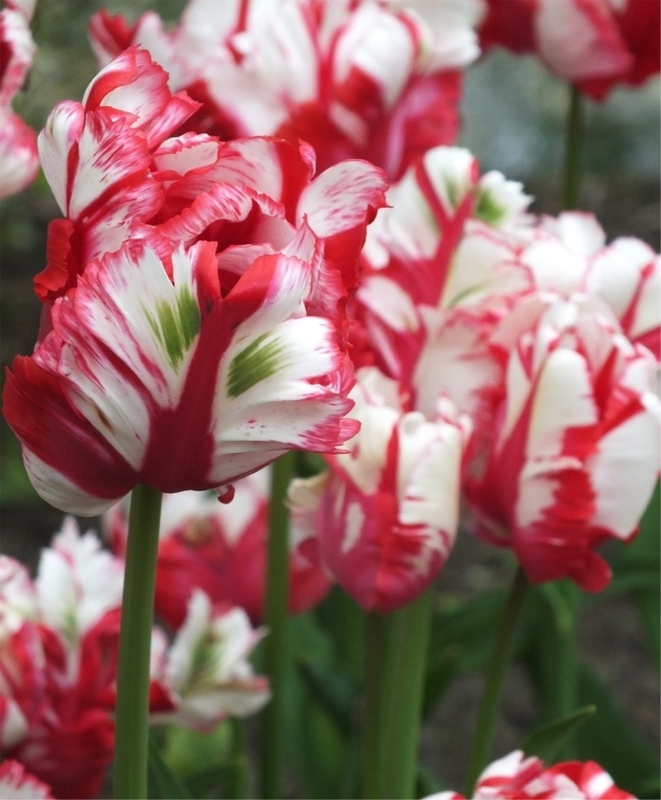 20 Parrot Tulip Estella Rijnveld: Blazing red, white flames. May. 22”. 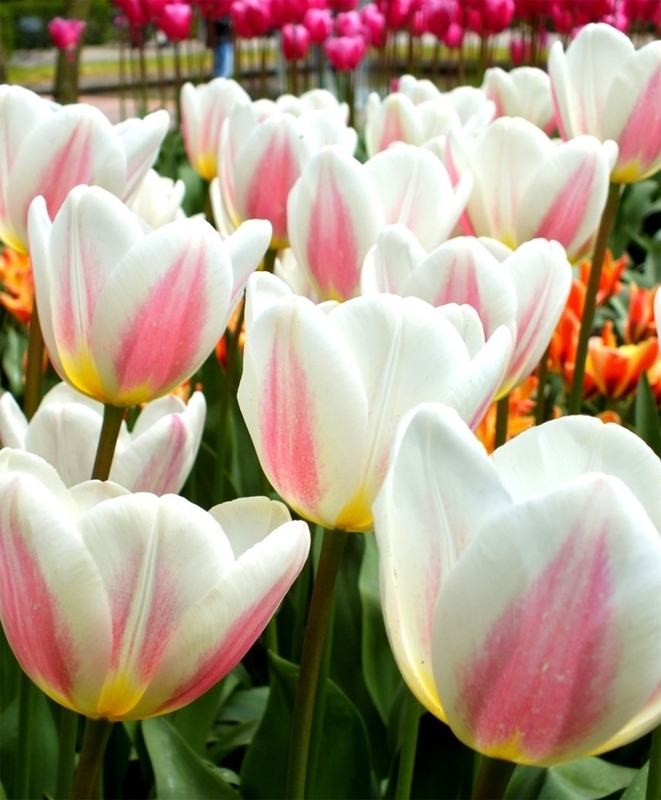 20 Lily Flowering Tulip Marilyn: Bright white, red flames. May. 22”. 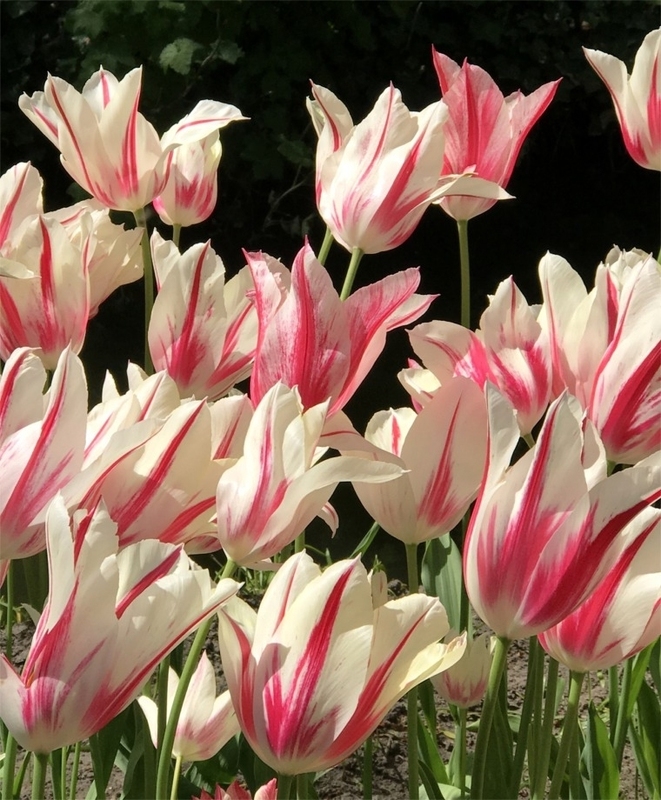 20 Single Late Tulip Sorbet: Ivory-white, raspberry-red flames. May. 24”.